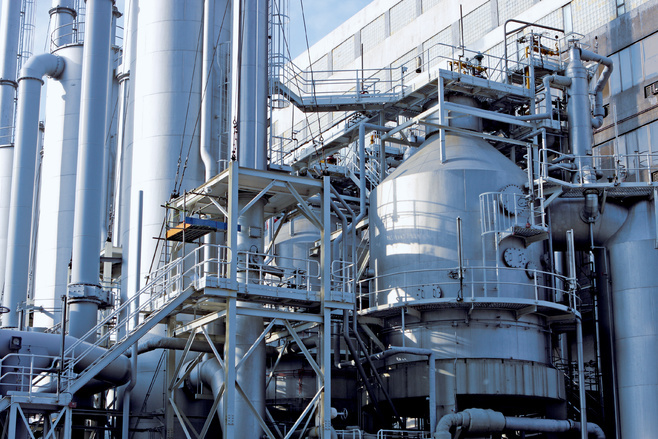 The production of petrochemicals and base chemicals covers a wide range of feedstock materials, chemical processes, and final products. The resulting bulk chemicals are primarily used as feedstock for many other, more specific synthesis routes. Feedstock availability, large-scale production, global competition, and low margins are important characteristics of this market. Due to the high reactivity of the chemicals involved the plant equipment has to meet special requirements. While hydrocarbons are highly flammable, inorganic compounds may be extremely corrosive, explosive or toxic. SICK is able to provide suitable solutions for hazardous areas to ensure safe and reliable operation.